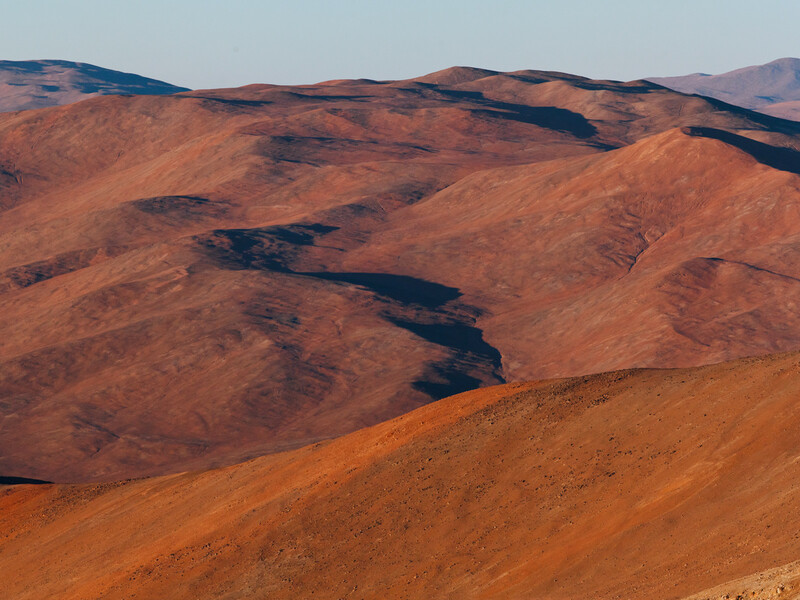 ESO’s Paranal Observatory — located in Chile’s Atacama region — is most well known for the Very Large Telescope (VLT), ESO’s flagship telescope facility. However, over the last few years, the site has also become home to two state-of-the-art survey telescopes. These new members of the Paranal family are designed to image large areas of the sky quickly and deeply. 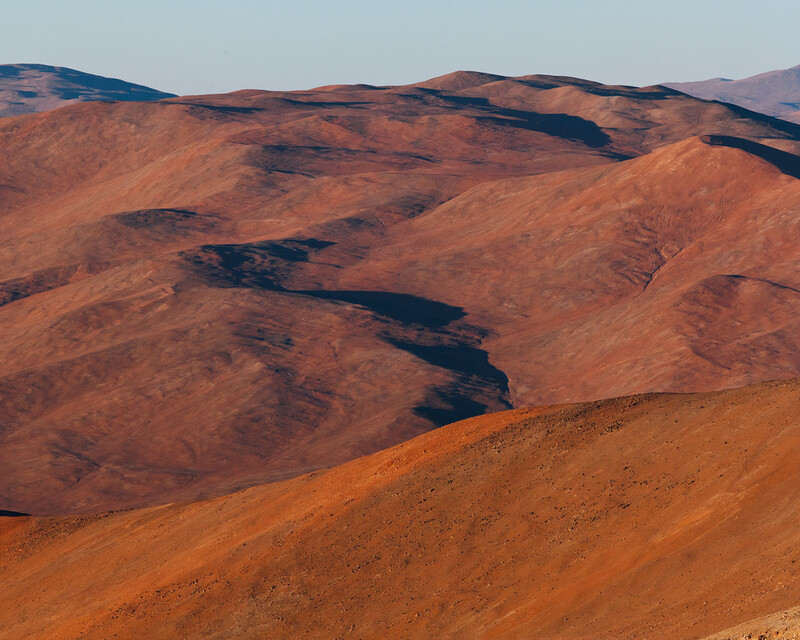 One of them, the 4.1-metre Visible and Infrared Survey Telescope for Astronomy (VISTA), is located on a neighbouring peak not far from the Paranal summit. It is shown in this beautiful photograph taken from Paranal by ESO Photo Ambassador, Babak Tafreshi. VISTA is the world’s largest survey telescope, and has been operating since December 2009. At the lower right corner of the image, VISTA’s enclosure appears in front of a seemingly endless mountain range, which stretches to the horizon. 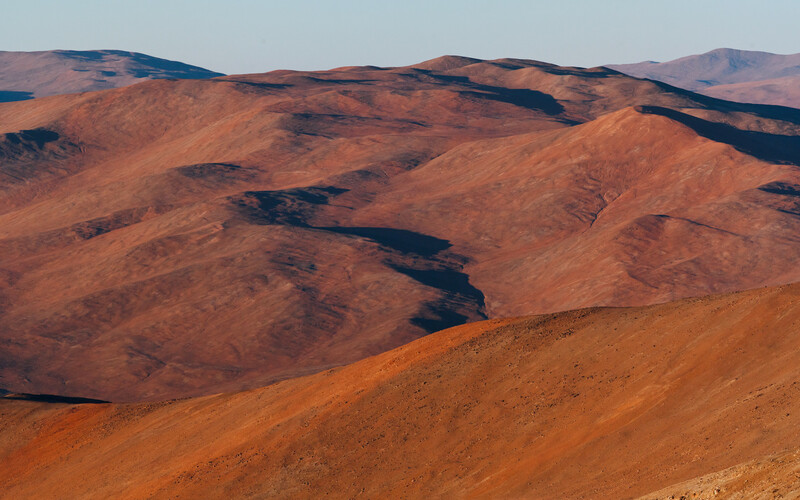 As sunset approaches, the mountains cast longer shadows, which slowly cover the brownish tones that colour the magnificent landscape that surrounds Paranal. Soon, the Sun will drop below the horizon, and all the telescopes at Paranal will start another night of observations. VISTA is a wide-field telescope, designed to map the southern sky in infrared light with high sensitivity, allowing astronomers to detect extremely faint objects. The goal of these surveys is to create large catalogues of celestial objects for statistical studies and to identify new targets that can be studied in more detail by the VLT.